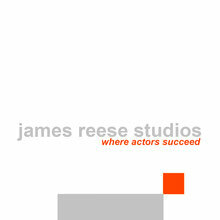 about james - James Reese Studios - Where Actors Succeed! 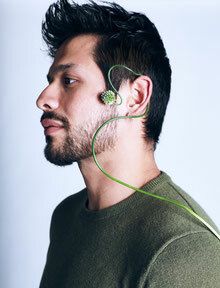 James Reese is originally from the Buckeye State - Ohio. James played drums for 10 years and became a National Champion in military drum corps. He was very active in school sports, government, and theater. Winner of the National “I Dare You Award” for individuals who strive and accomplish excellence. After graduating, he moved to New York and studied at The American Academy of Dramatic Arts (graduate), and Herbert Bergof Studios. James has trained and studied with some of the best teachers our country has to offer. He eventually moved to Los Angeles and became involved with the theater (including doing several plays with Tim Robbins' Actors Gang and many other productions in L.A.) Also, studying improv at the famous Groundlings Theater. Making ends meet: while working in restaurants and a fiberglass factory, yes a fiberglass factory... he eventually landed at a commercial production house. Soon, he was learning everything from editing, to casting - to producing. James then produced commercials and music videos for 4 years, and for 25 plus years has been an associate casting director and reader for Major Film & Commercial Casting Directors (all while still working on his own acting career.) As an actor, James has shot over two hundred National and International Commercials (several nominated for the Emmy & Clio Awards). Worked closely with Jamie Lee Curtis, Brad Pitt, Naomi Watts, Anthony LaPaglia, Ed O'Neill, Ryan Kwanten, Samuel L. Jackson, Alfred Molina, Victor Garber, David Hyde Pierce, Marcia Gay Hardin, Peter Gallagher, and more. He has traveled the world as one of the original Mountain Dew-Dudes. 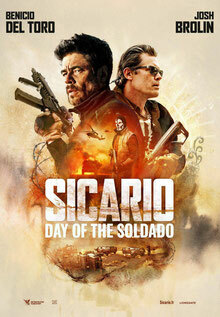 Guested on the acclaimed series “Southland” & "Outlaw". NBC Soap "Passions" and the series "American Dreams.” A series regular on VH1's "Naked Cafe" and the pilot “Prescriptions” developed by his students. Some film credits include working with director Wayne Wang on the Artisan Film "Center of the World," with Peter Sarsgaard, and with Director Jesse Dylan on Universal Films’ "American Wedding: American Pie 3" and "How High". Craig Gillespie, and Kinka Usher. James has coached acting to many other successful known actors. His actors have starred on such shows as CBS’s & David Mamet’s “The Unit”, ABC’s spin off of Grey’s Anatomy “Private Practice,” CW’s Veronica Mars, Fox’s Bones, & “Greek” on ABC, Critic & Emmy Favorite Mad Men, and more. Receiving Top Acting Nominations from The Academy of Motion Picture Arts and Sciences "Oscars", Emmy's, and Screen Actors Guild Awards. Like many others-- former Agent at UTA & Talent Manager Cynthia Shelton-Droke (clients have included Sandra Bullock, Jennifer Lopez, Mike Myers, Jon Favreau etc.) considers James to be her “secret weapon.” In helping unknowns & the more seasoned actors to feel more confident and book potential jobs. His approach is about the artist’s ego, not his. Having trained extensively himself, he has an understanding of all the methods and approaches to the craft of acting whilst wrapping it up with sports psychology. By you being so confident...you inspire confidence in others.